The car of a Nigerian bishop kidnapped earlier this week has been discovered, prompting 'fervent prayers for his immediate release' from the most senior Nigerian church leader. Rt Rev Moses Bukpe-Tabwayen, Bishop of Gwagwalada, was taken while travelling from Abuja to Onitsha on 3rd September. His captors are demanding 40 million Nigerian Naira (approximately £132,000) for his release. The police authorities in Delta State found the Bishop's car along Onitcha-Ugbo/Ewohimi, where it had been abandoned with its ignition still on. The case has been transferred to the Special Anti-kidnapping Squad/ tracking team, who have instigated a man hunt. Bishop Bukpe-Tabwayem is one of the youngest bishops in the Church of Nigeria and was consecrated in April 2015. The Primate of Nigeria, Most Rev Nicholas Okoh, has issued a statement calling for "fervent prayers for his immediate release." In 2013, Archbishop Ignatius Kattey was kidnapped with his wife Beatrice in the Niger Delta region, before their release was successfully negotiated. 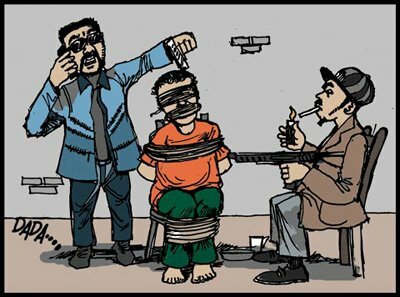 "The issue of kidnapping is rampant in the country but we can still curtail the menace if we are vigilant. If we fail to live together as brothers in prayers, we shall perish as fools, so we should endeavour to be our brothers' keeper."